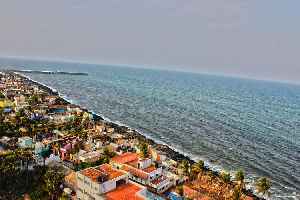 Puducherry, formerly known as Pondicherry, is a union territory in India. It was formed out of four exclaves of former French India, namely Pondichéry, Karikal (Karaikal), Mahé and Yanam (Yanam). It is named after the largest district, Puducherry. Historically known as Pondicherry (Pāṇṭiccēri), the territory changed its official name to Puducherry (Putuccēri) on 20 September 2006.